This is a story of “coming apart before one falls apart,” literally, and about how God has worked in every aspect of it all. It is a story of faithfulness to God and understanding the need to follow Him and obey His direction. It’s a story of courage and knowledge to know when to quit, and yet not give up. It’s a story of a family totally committed to doing God’s will and a beautiful story of a new beginning. 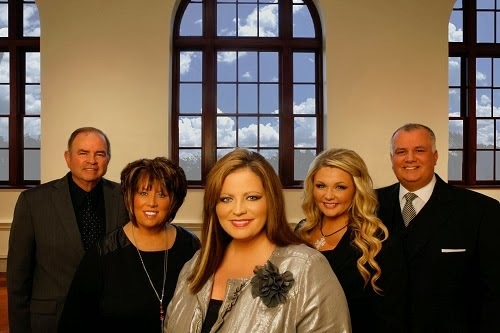 The beginning of this century introduced the Southern Gospel audience to the rich family harmony and exciting stage presence of the Hoskins Family. 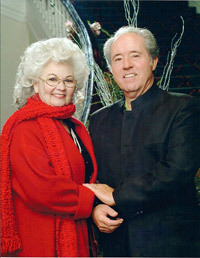 The family’s first Top Forty song was written by Angie Hoskins Aldridge and titled “Mission Of Love.” It came from a 1998 album by the same title. Their second album, Hope, in 2000, generated their first top five hit, “Joyful Morning,” which came in at number three, and as they say, the rest is history! 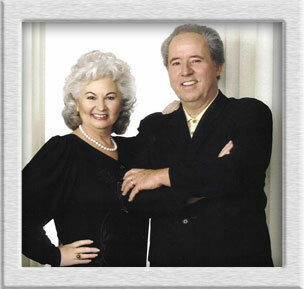 Rick and Reva Hoskins have known no other way of life, but to serve God and sing. They have sung all their lives and naturally their daughter Angie inherited their talent. The three sang in the church where Reva’s parents pastored, until God opened their ministry to a wider audience by allowing their songs to be played on Gospel radio. Following their introduction to mainstream Southern Gospel audiences through radio, they were immediately added to the larger venues in Southern Gospel. Churches of every size and denomination clamored for dates to have them in service. After eight years on the road, in 2006 the Hoskins Family stopped touring and took a break from their music ministry. We recently caught up with Angie and talked about what the Lord has been doing with and for the group. In 1957, life was more relaxed, things moved a little slower and almost everyone went to church on Sundays and for revivals. This was especially true in the south. That spring, Joel Hemphill met the love of his life, LaBreeska Rogers at a church revival in West Monroe, Louisiana and it didn’t take long for him to make her his wife. The young couple began a lifetime of ministry and they have been sweethearts and partners in ministry for more than fifty three years. 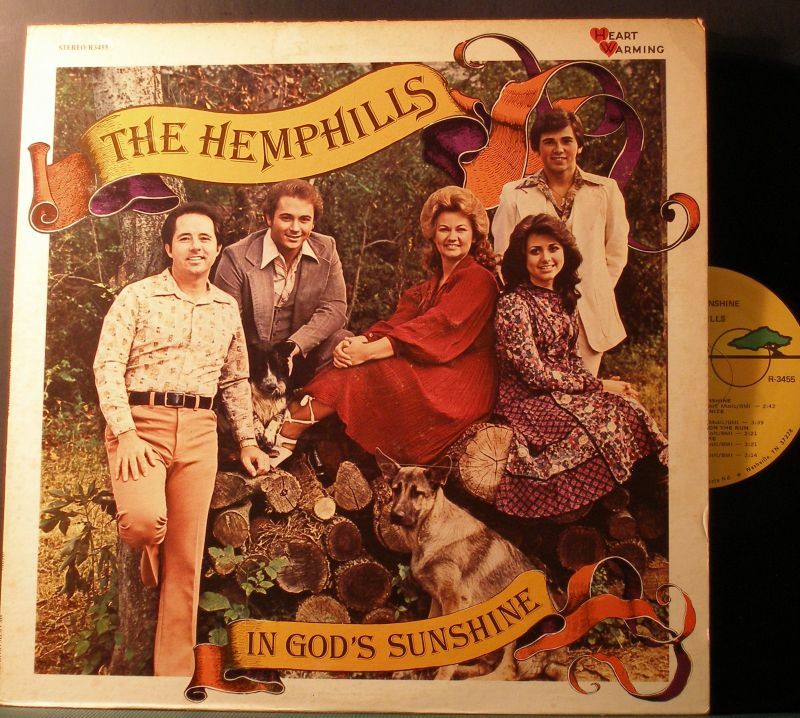 Music played a major role in the life of young Joel Hemphill, the son and grandson of ministers of the Gospel. LaBreeska was part of the famous Goodman family, and when she was nine years old, she sang at the Ryman Auditorium with the Goodmans. Immediately following their marriage, the happy couple began singing together in their home church and for revivals around the area. 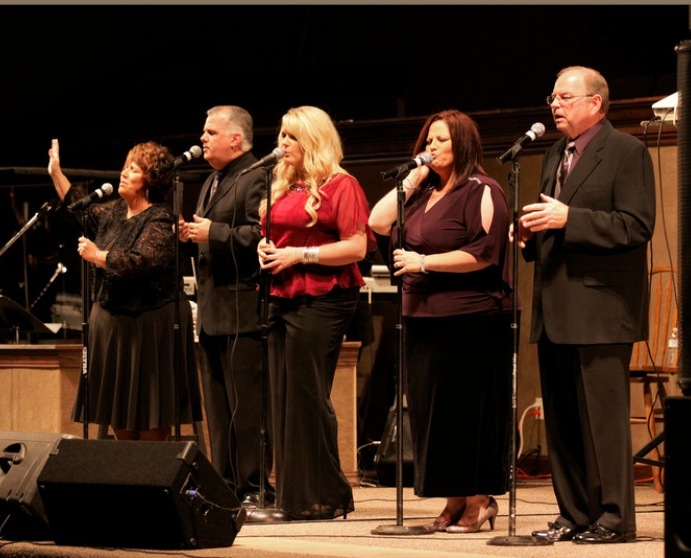 When the three Hemphill children came along, they joined the family’s music ministry, forming one of the premier family groups in Southern Gospel music. Joey was only ten when he joined his Mom and Dad on stage playing drums. Trent followed at age fourteen, playing bass guitar. Candy soon joined in and with her strong soprano, she quickly became a featured voice in the group. Her first recorded song with the family was “I Came On Business For The King,” written by her father. The Hemphills were traveling extensively then, and decided to move Nashville, Tennessee, to be more centrally located. Their music was original, written by Joel, and their close family harmony and exciting band found them much in demand by concert promoters and church pastors. Their many top-charting songs were penned by Joel, and at the same time, the children were honing their song writing craft. The Hemphills had many number one songs in the industry charts over the years. Joel’s songs were sought after by every artist planning studio time for a new recording. The Goodmans, the first professional group to record Joel’s music, (“Pity The Man,” “He Filled A Longing,” “I Found A Better Way,” etc. 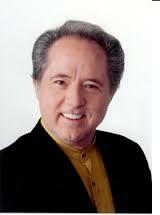 ), The Blackwoods, The Speer Family, The Gaithers, The Florida Boys and The Cathedrals all recorded songs written by Joel Hemphill. In 1990, the Hemphill children chose to develop their individual ministries, and once again, as in 1957, Joel and LaBreeska Hemphill were two sweethearts in the ministry. Singing and preaching dates filled their calendar, yet God chose to change their direction. Joel had successful surgery for colon cancer, yet the enemy launched a battle of clinical depression and for two years, Joel faced debilitating days, for the most part being home-bound, often bed-ridden. On November 8, 1992, his home church anointed Joel and prayed for his healing. From that day till this, Joel and his doctors agree the healing miracle came for God. Joel and LaBreeska became even more excited about the Lord and pursuing the ministry. Joel’s sermons had new meaning, and where he had not written a new song in over two years, he received two new songs from the Lord on that Sunday, and six new songs the following week. Joel has written several insightful books dealing with Biblical doctrine. His most recent book, “GLORY TO GOD, IN THE HIGHEST,” strips the teachings of many Roman and Greek philosophies from the Christian doctrine, and presents Joel’s research into those influences. Joel and LaBreeska continue to minister, both with preaching and singing. They find joy in presenting the Gospel as “Sweethearts for a Lifetime,” and as an evangelistic team, “Partners in Ministry,” ironically, the title of one of their recordings! 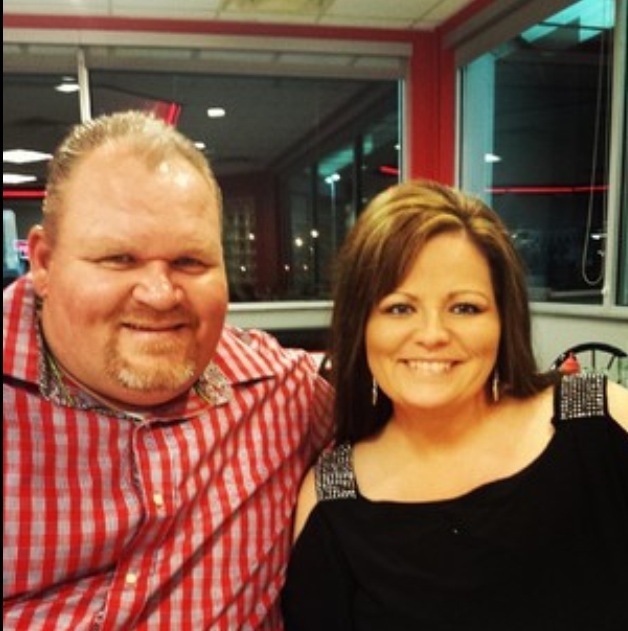 Michael and Angie have been married for 20 plus years, and are proud parents of Abby and Chad. “When Grandpa died it really hit us hard, and then my grandma’s health began to fade more. We all were worn down and needed to be refreshed, so we made the only right decision for us at that time,” she finished. As time passed, healing and refreshing began happening for the family. They learned to cope with the passing of their loved ones and to absorb the knowledge of meeting them again. They became involved in the ministry of their church once again, teaching, singing and playing instruments. At the same time, Angie and her husband, Michael, learned that their daughter, Abby has heart disease. It was about three years ago, following tests done during gallbladder surgery, that the doctors found a small hole in Abby’s aorta. The family trusted God for a special touch on Abby’s life, and being together during that time made it easier to work through. “We had no idea Abby had a heart problem and but as we’ve watched her grow in God and in her spiritual and personal life, we realized this is just another thing that God has done for us,” Angie testified in total confidence of God’s grace for Abby’s healing. For almost six years the only music we heard from the Hoskins family came from stations playing their older music, which happened often since their songs were so encouraging and inspiring. Then about a year ago, we began hearing something new from them on Gospel radio. Angie said that “testing the waters” with these two songs, confirmed to her family that they should again be involved in the music ministry. Not long afterward, the family began singing a few dates a month. On the new recording, Abby is featured on “God Is Big,” a song written by Annie McRae. She is joined on this song by Angie and Joyce Martin Sanders. The song debuted at number 22 on the Singing News National charts, which is the highest any Hoskins song has ever hit the charts. Next month, “God Is Big” will come in at number nine! As Abby has honored God with her young talent, the strength in her vocals displays God’s reality in her life. It surely seems that God is smiling on the Hoskins Family as they continue to honor Him! Traveling as a family has its fun times and unique times, as most of us can attest from experiences we have on family vacations. Being able to laugh during tough times can help when you’re traveling. Reva Hoskins and her grandson, Chad. He loves traveling with the family and playing football. Something that no one knows about Abby as well as Logan, since he has only been with the group for a short time, is that they attend the same school and have known each other all through school. “They are good friends, and they will graduate from high school this year,” Angie disclosed. 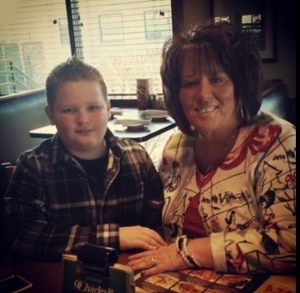 Angie also shares that she and Michael have an eleven-year-old son, Chad, who will be traveling with the group next year. “Chad will be taking part in a state operated virtual school and will be on the road with us next year. Chad is our ‘Football Star,’” Angie bragged. “His football team has had back to back League Championships for the past five years. Chad fills the center position for his team, and Michael and I are so proud of him.” Michael, who is part owner in his family’s business, is also the offensive line coach for Chad’s little league team. As the Hoskins Family continues the rich spiritual and musical heritage of their families, fans all across the country are happy to have this family back on the road sharing their music. This is just another chapter in the story of that legacy; and the story of “coming apart and coming back together,” to further the Kingdom of God. By Sandi Duncan Clark, for SGN Scoops digital magazine. First published August 2014 in SGN Scoops. We’re excited about the June issue of SGNScoops Magazine. What a BUSY month! Scattered all over the country, our writers have captured some of the most exciting events and happenings in Gospel Music. A lot of cool things have been going on in the ministry of the Kingdom Heirs. 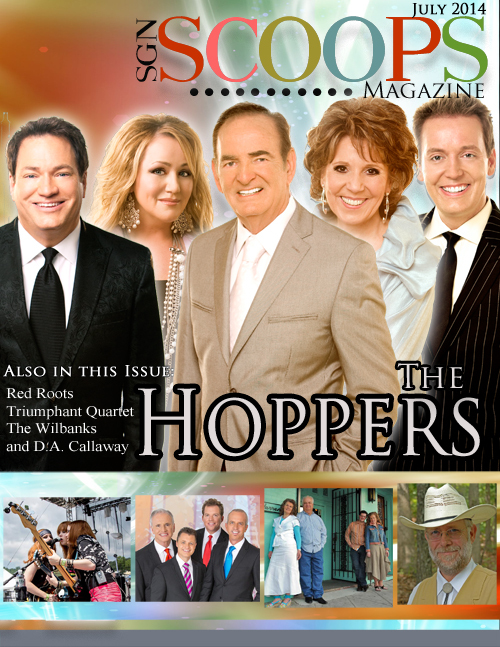 The Kingdom Heirs are featured as the cover story this month, so don’t miss their story. Also this month, Adam Crabb talks about his new album, Ava Kasich shares a powerful testimony, the Jay Stone Singers and Sacred Calling share their latest too. Enjoy the latest in Christian Country news with Paul Summers, and get a younger perspective with Dustin Leming. Be encouraged by Dr. Jeff Steele’s devotion and be inspired by Lou Hildreth’s Life, Love and Legends. 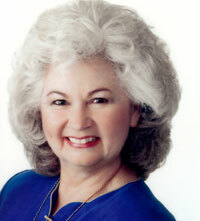 Laurette Willis of Praise Moves shares an article regarding Christian Fitness. The June issue is a special edition due to all of the events covered. Enjoy the inside scoop on the Great Western Fan Festival, Singing in the Sun, Inspiration Pop 2929 Movie Premier, as well as a Union Street concert review. Don’t miss the inside scoop and look ahead to the Gospel Legends Reunion too. This issue also includes June Music Reviews and a book review on New York Times Best-Selling Author, Ken Abraham’s WHEN YOUR PARENT BECOMES YOUR CHILD. 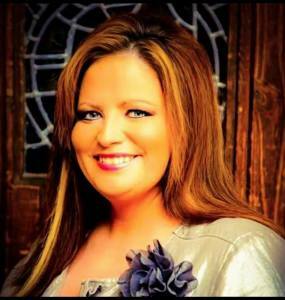 June is indeed a busy month of spotlighting the world of Southern Gospel Music! SGNScoops Magazine is free, so please share with your friends, fans and family! We are stoked about the April edition of SGNScoops Magazine! The beloved, ever popular Triumphant Quartet is gracing the cover this month! Also in this issue, get the inside scoop on Ann Downing’s latest recording experience and enjoy part 2 of Lorraine Walker’s series on John Lanier. Our focus on Christian Country Music shines the spotlight on Barbara Lowman, and we’re highlighting 2 special young folks this month-Zach Flowers and Olivia Collingsworth. In addition to the latest gospel music happenings, April’s issue includes several articles of Christian interest. Sandi Duncan Clark reviews a book titled “Question Everything” and Dixie reviews “The Grasshopper Effect,” a book about small churches. John Mathis Jr. and Jennifer Campbell encourage our hearts with articles of inspiration and don’t miss a special word of encouragement by our new staff writer, Dr. Jeff Steele. 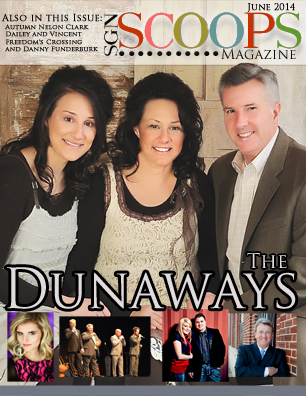 This month offers music reviews, an honor to Mark Lowry, a concert review of The Easters and special coverage of the Tracy Stuffle Benefit Concert. Rhonda Frye encourages West Coast Southern Gospel fans to attend the Great Western Fan Festival later this month, and Lorraine Walker tells our readers about the tourist hot-spots in Pigeon Forge, home of the Creekside Gospel Music Convention. Thank you to our talented staff of writers and design team for another beautiful issue of SGNScoops Magazine. Remember…we’re always free, and always good! By all means… Please share with your friends, fans and family on your websites and social media outlets!